Sallie Mae, the nation's largest student loan company, said it expects to spend $70 million to deal with a torrent of government probes into its business practices. Prices of Sallie Mae shares and debt plummeted Friday, and traders bet the company was more likely to default on its obligations. The Department of Justice, Federal Deposit Insurance Corp., and Consumer Financial Protection Bureau are among the agencies investigating whether the company violated federal consumer protection laws and statutes that prohibit discriminatory lending, overcharged active-duty members of the military and wrongfully processed borrowers' monthly payments. Sallie Mae is the biggest private-sector lender for higher education, servicer of student loans and owner of taxpayer-backed student debt outside the Department of Education. The company had previously disclosed the ongoing government investigations. But Sallie Mae's statement Thursday, after New York markets had closed, was the first time it had estimated a potential penalty or cost to settle the inquiries. Sallie Mae said it set aside $70 million for "expected compliance remediation efforts relating to pending regulatory inquiries." Martha Holler, Sallie Mae spokeswoman, said, "We’re constructively engaged with our regulators and the Department of Justice in resolving these matters. We hope to resolve them very soon and we plan no further comment until these matters are resolved." Investors had seemed to shrug off Sallie Mae's regulatory controversies until Thursday's earnings statement. The stock soared 56 percent in 2013. But after the company reported quarterly earnings of $270 million, a 22 percent decline from the same period last year, its shares plunged nearly 10 percent on Friday while U.S. equity benchmarks were basically flat. Prices of its three most recent five-year and 10-year bonds also tumbled, according to data from Trace, the Financial Industry Regulatory Authority's bond-price reporting system. The cost to protect against a Sallie Mae default increased Friday, according to Markit, a data provider, an indication that more traders were betting against the company's ability to pay its bills on time. Still, the company recorded $1.4 billion in income during 2013, a 51 percent jump from the previous year. Despite the investigations, the Department of Education recently told Sallie Mae that it intends to renew the company's lucrative contract to collect payments on federal student loans. Confidential Education Department determinations over the past decade allege the company had harmed borrowers and incorrectly billed the department, among other servicing-related failures. The Education Department declined to levy any fines in response to those determinations. 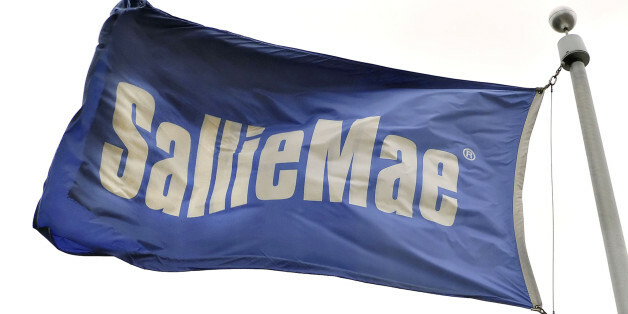 Sallie Mae recorded $109 million in revenue last year off its Education Department servicing contract, a 30 percent increase from 2012, according to securities filings. The company was servicing some 5.7 million accounts for the Education Department as of Dec. 31, a 33 percent jump from the same time in 2012. Sallie Mae has told investors it hopes to expand its business dealings with the Education Department. Education Secretary Arne Duncan is under pressure to crack down on Sallie Mae. Recently, a coalition of workers' rights groups, student organizations, teachers' unions and colleges wrote Duncan to demand that the department prohibit Sallie Mae from servicing federal student loans until the company complies with government rules. They also recommended the Education Department immediately launch a probe of Sallie Mae’s servicing and debt collection practices and publish the results. Earlier this week, some blogs highlighted the case of Olivia Katbi, the sister of law school student Andrew Katbi, who died with unpaid Sallie Mae loans. Olivia Katbi took to social media to highlight what she described as "soulless" treatment from Sallie Mae that verged on "borderline harassment" to collect the debt from her mother, who had co-signed some of Andrew's loans. Shortly after Olivia Katbi began tweeting about her family's case, the two sides reached a settlement, she said. "Our hearts go out to the Katbi family," Holler said. "We apologized to them for the delays in resolving this matter." On a conference call Friday to discuss the company's quarterly earnings with investors and analysts, Jack Remondi, Sallie Mae president and chief executive, lashed out at what he described as "intense media coverage" that "rarely reflects our customer success." Remondi said default rates among the company's private student loan borrowers are near record lows. Its federal student loan borrowers default at a rate 30 percent lower than the national average, he added. And last year Sallie Mae placed some 2 million borrowers into repayment programs meant to avert default, Remondi said. "In 2014, our top priority remains to provide the quality service and innovative tools our customers need to successfully manage their loans and avoid the devastating consequences of default," Remondi said. Regulators and policymakers are closely watching the company's moves. Remondi noted the "heightened regulatory environment" his company is operating under, as regulators are "taking much more aggressive positions and actions on a wide variety of consumer protection issues, and student lending is no exception," Remondi warned. But Sallie Mae doesn't plan to change its business practices, he said, as the company has long been "geared and structured to full compliance." 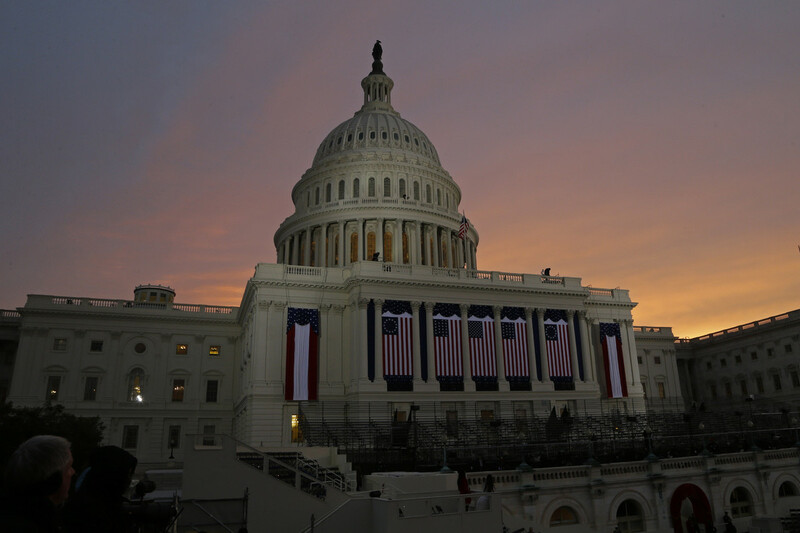 Remondi said that one of those compliance issues that has recently ensnared Sallie Mae -- adhering to the Servicemembers Civil Relief Act -- involves an "incredibly complex benefit to apply to a borrower's account." The law requires companies to reduce interest rates on loans held by active-duty members of the military. Former Secretary of Defense Leon Panetta said last year of active-duty soldiers: "Their service and their sacrifice should not be made harder for them when it comes to repaying their student loans." The Justice Department is investigating whether Sallie Mae failed to reduce soldiers' interest rates. Another compliance issue, involving how the company processes borrowers' payments toward their student loans, is under investigation by the federal consumer bureau. In October, the company reported an uptick in loan delinquencies that surprised analysts. At the time, Sallie Mae said more borrowers fell behind on their debts because the company recently altered its servicing systems. On Friday, Joseph DePaulo, executive vice president of banking and finance, said that while the "majority of the problems were remediated," a "small, small portion" of borrowers will continue to fall behind on their obligations for the foreseeable future because their payment habits "have not changed." "Typically, a big part of this is we've had to tell customers to make two payments instead of one," DePaulo said, adding that company employees "correct it for them." The company declined to provide additional information. Rohit Chopra, the assistant director and student loan ombudsman for the CFPB, said last year that payment-processing systems for student loans are "opaque" and that many consumers face "stumbling blocks, snags and surprises" when they try to ensure their payments are being properly applied to their loans. The student loan industry's efforts to correct these alleged failures have not yet satisfied regulators. Companies have been "dilatory in making progress," Chopra said.